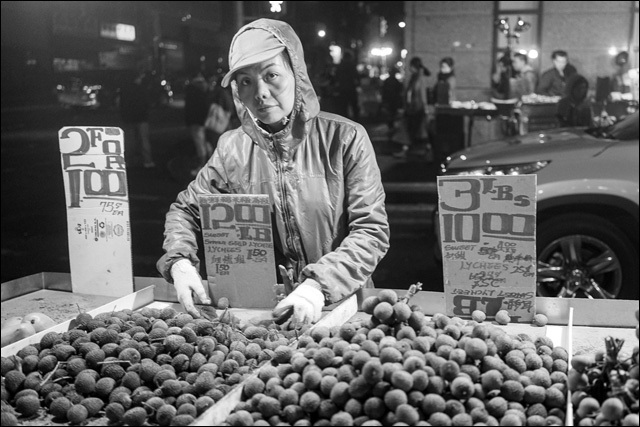 Photo series shines a light on "The Model Minority Reality"
Cynthia Trinh's stunning photo essay highlights low-wage Asian laborers in New York City. Mic.com has published a stunning gallery of images showing a side of the Asian American immigrant experience that doesn't normally get the spotlight. "The Model Minority Reality" by Cynthia Trinh is a black-and-white photo series of low-wage Asian laborers in New York City's Chinatown and Midtown neighborhoods. Trinh, a 31-year-old Brooklyn-based activist and former intellectual property lawyer says her photo essay was inspired by the New York Times investigation on the exploitation of nail salon workers. "I think that was one of those things we all kind of knew was happening, but it took that piece to really hammer it home." "The Model Minority Reality" aims to combat the stereotype that Asians are highly educated, successful and thriving in professional careers, while highlighting the immigrant community's tenacity, hard work and struggle to survive in this country.